Clos des Lambrays (Morey-St-Denis) / Sugar of the Century, Bourgogne, Côte d'Or, October 1999. Vogel & Fitzpatrick GbR Black Ink 1998. One the wine estate of the Clos des Lambrays there is a lot of renovating and rebuilding, at the moment. Everything seems to be in a state of change. The family Freund form Koblenz bought the estate three years ago, and you clearly see that they have put into their mind to polish up the domain and to re-establish the Clos des Lambrays among the top wines of Burgundy. The years before the wine estate had a troubled history. In the seventies is was rather neglected before being sold in 1979. A third of the vineyard were cleared in 1981 and replanted and in the same year the vineyard was though not in the best order declared a Grand Cru due to its excellent climate. 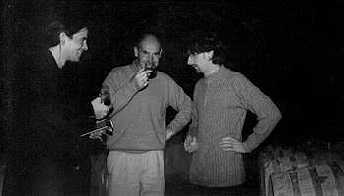 1994 The estate was sold again and the future of the potentially fine wines was again uncertain - until it was bought by the Freunds. They also bought some land nest to them in order to enlarge the wine cellars. The domain's technical manager is still Thierry Bourin who now for almost two decades works on the estate. We tasted the wines together with him giving us plenty of time. You could feel his enthusiasm for the Clos des Lambrays, his passion for this wine. The now clear ownership and the investments of the Freund family should enable in the next years a good, solid work that will reveal the essence of this historical and famous vineyard. 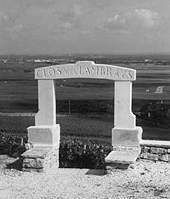 The yield of the Clos des Lambrays are consciously kept low. A third of the vines are 18 years old, the rest 45. Replanting bigger parts in former times, now only small ones are cleared and replanted - this year only one acre. Harvest took place between the 18th and 25th September, a few days before the Clos de Tart in the neighbourhood. In opposite of the latter, it was before the rain. One third of the Village wine, half of the Premier Cru and the Clos Lambrays are stored in oak form Allier, the VOGESEN and Nevers. Rather dark, dark fruit, cherries, rather thick tannins, strong, a lot of wood. Very good Village. Only 25 hectolitre per hectare were harvested. Vines are 20 years old. An assemblage from grapes form the 1er Cru climate Les Villages and La Riotte also some sorted out ones and not a Grand Cru worthy barrels. Very dark, intense fragrance of black currant. In the mouth wood and juice of black and red currants, good acidity, strong tannins, verb very good vanilla in the finish. Leaves warmth behind. Rather long. Bright ruby, very dark. Closed. In the nose very complex. Vanilla, sweet, dark cherries, blueberry, rhubarb and some red, ripe apple. In the mouth very strong. Present, but very fine tannin, a lot of wood, dried fruit, cherry stones, good acidity. Very rich and long. Excellent wine with strength. Still rather closed. Beautiful ruby. Fruity, fragrance of vanilla and raspberry. In the mouth raspberry, blackberry and some cherry. Very good acidity and fine tannin. Very good Morey-Village, but with a too present note of wood. A bit darker, notes of spice, wood an leather. Floury notes of jellybeans. In the mouth strong and good tannin, good, clear acidity. Round. Rich and fine fruit. Dark ruby. In the fragrance cranberries and wild cherries. Very intense and rich, a bit of plums. In the mouth very good plum like fragrance, very good with tannin and acidity. Mild, long and warmth. Very good. Spices and notes of bacon in the nose. Was filled in the barrel five days before. Violet red of ruby. Good fruit. Ripe and round tannin. Sugar. Beautiful ruby. Fruity, notes of vanilla and raspberry in the fragrance. In the mouth raspberry, blackberry and some cherry. Very good Morey-Village with the wood still a bit dominant. Was put into the barrel one day before. Brouin said we were the first visitors who tasted the 99 Lambrays. Still CO2, velvet, toast aroma. Very rich. Good, complex tannin. Very fruity. Even now - a quasi "Sturm" - a pleasure.